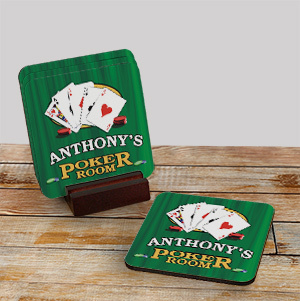 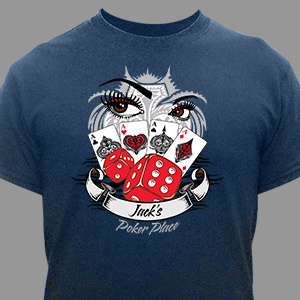 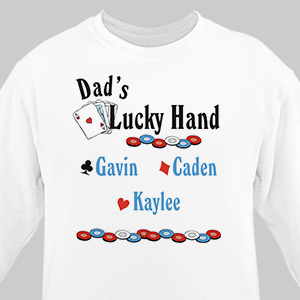 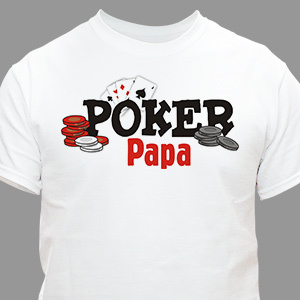 Outfit your favorite card player or poker room with a personalized gaming themed gift from GiftsForYouNow. 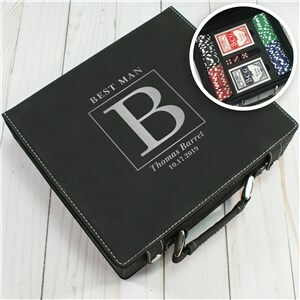 Customized poker gifts for the card playing man on your list are sure to put a smile on his face. 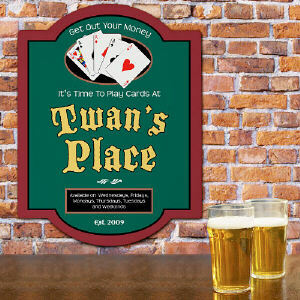 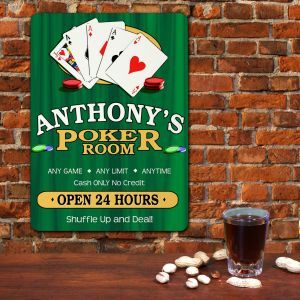 Watch him become the envy of all of his friends when he hangs his new personalized wall sign in his poker room during card night. 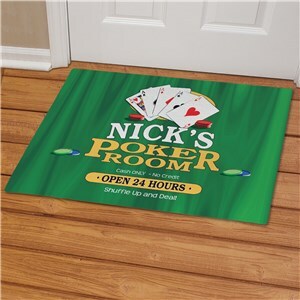 Stop visitors from tracking in dirt and mud with a poker themed welcome mat or ensure they don’t mark up his favorite poker table with a set of playing card drink coasters. 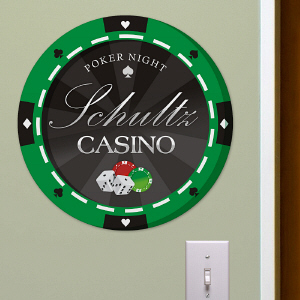 Each of our casino related gifts come personalized, which is included in the price of the product.